After more than 4 Hours. Got my license renewed! Still looks the same as the old one. I think new design hasn't been approved yet. It’s that much-awaited event again: getting my driver’s license renewed. All the waiting and stress makes the event so anticipated. 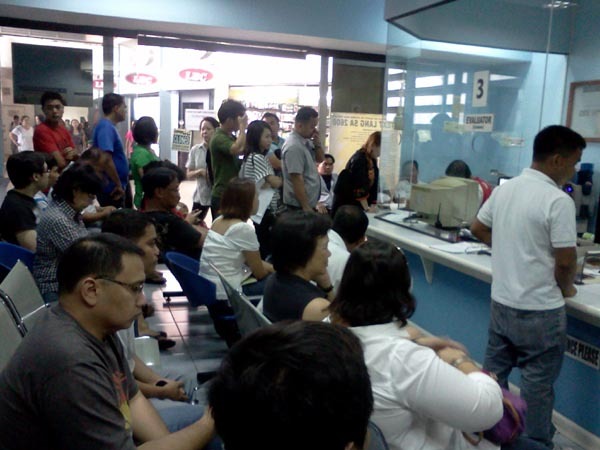 This morning, I headed to the LTO satellite office in the MRT Ayala station. This is beside KFC, which is on the floor where you buy MRT tickets. The whole process took an agonizing four hours. More, probably. This is considering that after I got my receipt at around 11am, I gave up on waiting by 12:30pm...went to work and came back for my license before the LTO closes at 6pm. To my surprise, it wasn’t ready when I returned! I waited again. 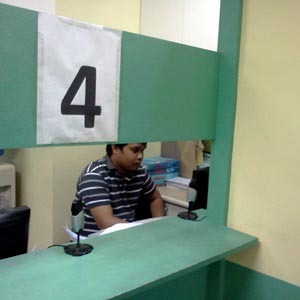 The LTO says renewal is an easy four-step process. There's actually more. Having a detailed guide stapled to each application form would've been better, though. 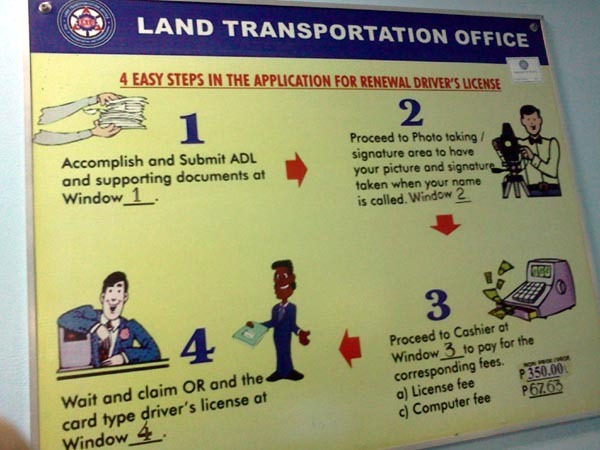 The 4 "Easy" Steps for Renewing a Driver's License. There's actually more, though. Everyone applying should get a copy. 1. 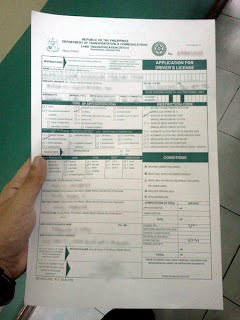 Get application form at Window #1. Fill it out. 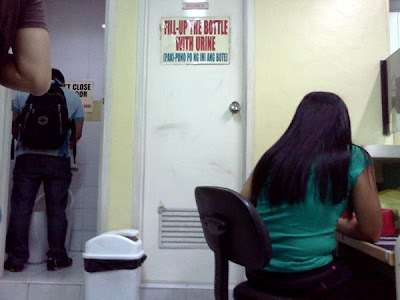 Go to the drug testing center beside LTO office. The first step: get an application form. 1A. – Pay Php 400 at the cashier for drug test and medical. Fill up forms that they’ll give. One of two medical forms. The other one is green. 1B. – Weewee! Give the filled-up form to person in charge of urine testing (near washroom). She’ll ask you to sign on a piece of masking tape, which will be taped on the cap of a bottle that you will pee into. Men aren't allowed to close the door while women can. What's the objective? Forcing yourself to pee isn’t a pretty feeling. Imagine having to fill up the entire bottle with people watching from behind as if cheering you on. 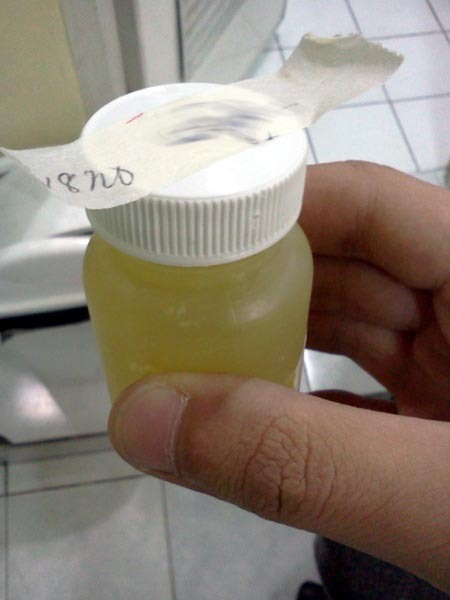 Submit urine sample. Wait to be called for medical. 1C. – Medical. Head over to the medical room near entrance once called. 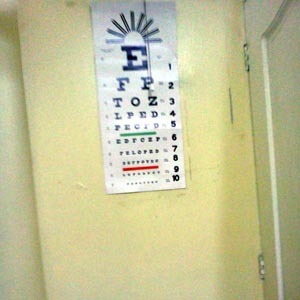 Doctor checks your weight and will have you recite a few lines from eye chart. After, sit and wait. Can you read line #8? 1D. - Picture! You’ll be called to have your ID picture taken. This is just for the drug test. They’ll also get a scan of your right thumb. After, wait to be called for your medical certificate. 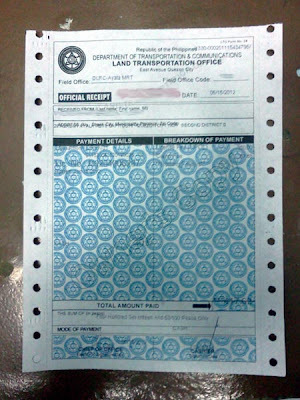 Once you have this, head back to the LTO. No need to be all-smiles here. This is just for internal records for the drug test. 2. Submit documents (application form, medical certificate) at Window #1, including expiring driver's license. Wait to be called for the next step. 3. Have your picture and signature taken at Window #2. Wait to be called for the next step. In my last driver's license, my photo shows me still licking my lips! Jirits. 4. Pay Php 417.63 (license fee and computer fees) at the Cashier...or wherever the LTO personnel who calls you is at. Wait to be called for the next step. 5. Get official receipt. Wait to be called for the next step. 6. Claim driver's license!!! Victory dance! Bring your own pen to fill up forms. Be early! At least you finish early, too! 8:30-8:40am is a good time for LTO Ayala MRT Station. Drink fluids ahead of time so you don’t force yourself to pee. Entertain yourself. Bring a book or play games on your cell phone during waiting game. Have patience. A year’s supply will do. I've heard of other LTO offices that are way faster and a bit more efficient. Thirty minutes max? I've never tried, though, since the Ayala MRT branch is most convenient for me. Hopefully there will be progress when the most-anticipated event happens again in 2015. Hopefully. 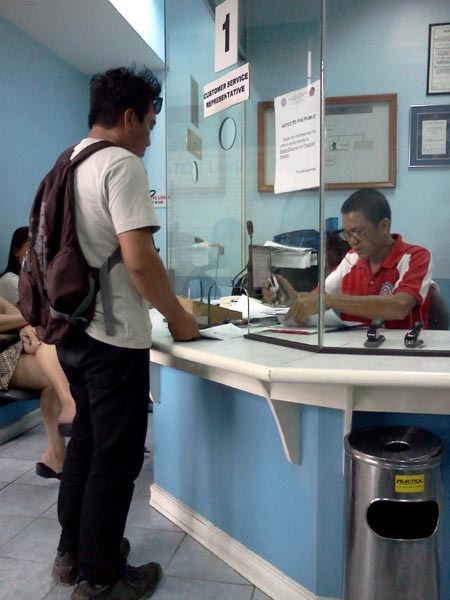 Have you tried renewing your NBI clearance? It was the worst I've experienced so far. 8 hour process! Getting a passport was a breeze, less than 30 minutes. I hope all government services are like that. 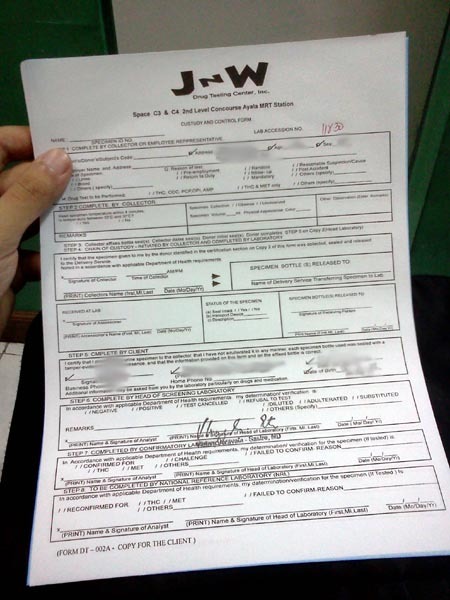 Nope, I've never tried tried getting an NBI clearance before. Omg! 8 hours? I've heard other horror stories like that, too. Grabe talaga. Yeah, I hope that all government services are like that... Para it's more fun na talaga in the Philippines. Haha! thank you so much for this post! mukha naman palang madali lang. can hardly wait to have mine renewed! Yup. It's actually pretty easy. All the waiting due to the volume of people can get frustrating, though. Good luck on your renewal. Let me know how it goes! Hello, open po ba kaya etong Ayala MRT LTO Renewal Centre pag Saturday? Thanks. If Im not mistaken, they're closed on Saturdays. They open at 9am sharp. Hi, just read through your post and is just curious how did your license renewal process go this 2015? Will give you an update. Hopefully it'll go smoothly. Hi Henson I think closed na ung LTO Ayala Branch I'm about to get my renewed license e. San ba cla lumipat or where can I claim ung Driver Card ko grr nag riring lang mga hotlines nila. We actually have the same problem. I actually went there 2 weeks ago to hopefully claim my Driver's License card... only to find out that it's closed. But I think one can go to any LTO branch for it. They just have to print it based on their files (assuming their files are updated and centralized).